As crisp autumn air begins to roll in to metro Detroit, homeowners and rental property owners alike should begin preparing their properties for the impending cold. According to the Department of Energy, the average household spends about $2,200 annually on household utility bills, so prevent energy and money from flowing through the cracks and gaps in your property by sealing it well, inside and out. 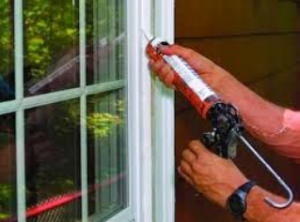 A properly sealed rental property should be a priority for owners, as it will save both energy and the tenant’s money, leaving more money to pay rent on time and increased tenant comfort overall. Investing in a property management company that offers annual, bi-annual and quarterly inspections can be crucial in weatherizing and maintaining your property, especially in Michigan, where we experience the full effect of all four seasons.